Senator Schatz explained that the mishap with the false missile alert in Hawaii earlier this year “exposed real flaws in the way people receive emergency alerts,” inspiring change and the new legislation. 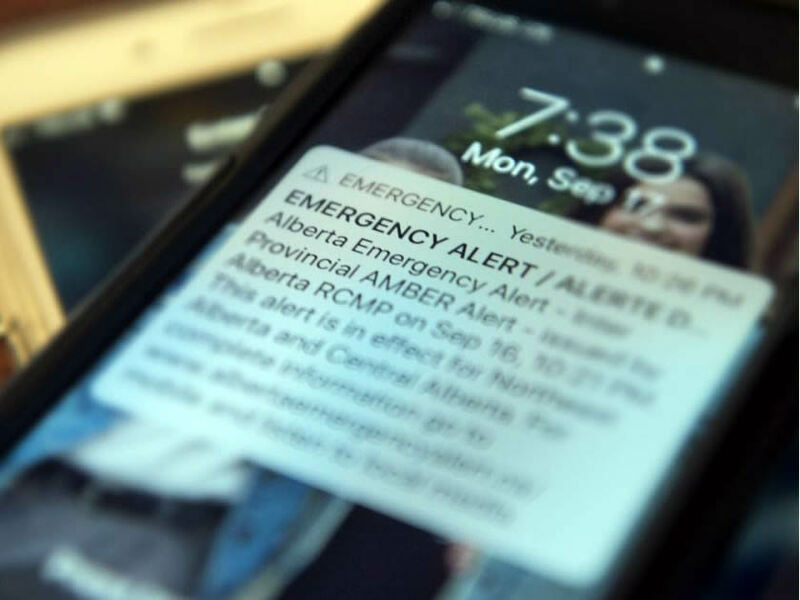 Other aspects of the READI Act also propose eliminating the option for users to opt out of receiving “certain” federal alerts, like missile alerts, on smartphones. For iPhone, users can toggle off AMBER Alerts and Emergency Alerts completely under the "Government Alerts" section in Notifications settings. ATLANTA, Sept. 25, 2018 — Prism-IPX Systems is pleased to announce that Vic Jensen has agreed to join Prism-IPX Systems as its new Senior Vice President of Product Development. 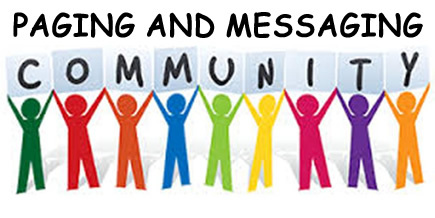 Vic is a well-known figure in the paging and critical messaging industry has been involved in wireless communications technologies for five decades and recently retired from Unication. During his fourteen years with Unication Vic was instrumental in establishing the Unication brand as a premier supplier of Critical Messaging solutions. 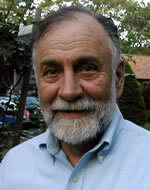 Prior to Unication, Vic was with Motorola for thirty-one years, holding senior management positions in Engineering, Manufacturing, Product Operations and Corporate Research. Vic has a BSEE and MBA. 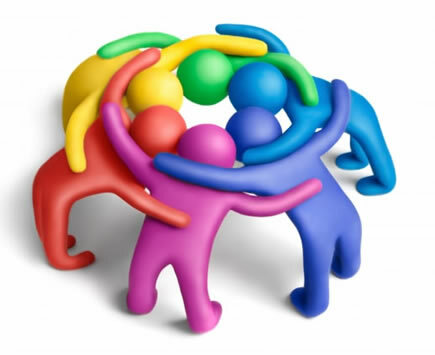 Vic will be responsible for existing and new product development as well as providing marketing and sales support for the company while assisting the development of new business opportunities and creating customized solutions for customer needs. Prism-IPX is an innovative market leader and a major distributor for Unication’s products and has working relationships with other manufacturers to round out its product line as a full system supplier. The company has won several major contacts for reliable modern IT-centric messaging systems that address cyber-security and IP based networking with centralized management and monitoring. The company is expanding its staff and plans to open additional development and support locations to better serve its markets. 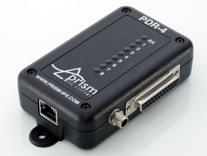 Prism-IPX Systems LLC is a privately held company headquartered in Alpharetta Georgia USA. FCC orders cities and towns to slash permit fees for 5G equipment. The Federal Communications Commission today finalized an order that will prevent city and town governments from charging wireless carriers about $2 billion dollars' worth of fees related to deployment of wireless equipment such as small cells. The decision has angered both large and small municipalities, as we reported last week. The FCC's Republican majority says that limiting local fees will cause carriers to build 5G networks in rural and sparsely populated areas where it would otherwise be financially unfeasible. But the order doesn't require carriers to deploy any more broadband than they otherwise would have, and carriers already promised nationwide 5G networks before the FCC made its proposal. The $2 billion savings is less than 1 percent of the estimated $275 billion that carriers will have to spend to deploy 5G small cells throughout the US. That level of savings won't spur extra deployment “because the hard economics of rural deployment do not change with this decision,” Rosenworcel said. The FCC order also limits the kinds of aesthetic requirements cities and towns can impose on carrier deployments. The FCC is telling municipalities “which fees are permissible and which are not, about what aesthetic choices are viable and which are not, with complete disregard for the fact that these infrastructure decisions do not work the same in New York, New York, and New York, Iowa,” Rosenworcel said. FCC Chairman Ajit Pai said the decision “has won significant support from mayors, local officials, and state legislators,” and he criticized those cities and towns that oppose the FCC's decision. “To be sure, there are some local governments that don't like this order,” Pai said. "They would like to continue extracting as much money as possible in fees from the private sector and forcing companies to navigate a maze of regulatory hurdles in order to deploy wireless infrastructure." Pai claimed that the fees carriers are charged in big cities prevent them from investing in rural areas. “Big-city taxes on 5G slow down deployment there and also jeopardize the construction of 5G networks in suburbs and rural America,” he said. But Pai offered no evidence that deployment decisions in rural areas are affected by permit fees in big cities. Carriers' previous actions show that savings from tax cuts and deregulation don't necessarily cause new deployment. Comcast and AT&T laid off thousands of employees less than a year ago after claiming they would create thousands of new jobs in exchange for a federal tax cut. Shortly after the FCC voted to eliminate net neutrality rules, Charter announced a “meaningful decline” in capital investment. The National Association of Counties and the National League of Cities also criticized the FCC decision. The FCC move will also force cities and towns to act on carrier applications within 60 or 90 days. “By narrowing the window and resources for evaluating small cell applications, the FCC is effectively hindering our ability to fulfill public health and safety responsibilities during the construction and modification of broadcasting facilities,” the counties' and cities' group said. Today's vote to preempt local regulatory decisions was supported by CTIA, the major wireless carriers' primary lobby group. But the order will likely lead to lawsuits because the FCC mostly disregarded the concerns of localities, according to consumer advocacy group Public Knowledge. “Rather than finding consensus between industry and state and local government stakeholders, the Commission's Declaratory Ruling and Order overwhelmingly sides with industry on nearly every issue, resulting in a vote that will almost certainly be challenged in the courts and create uncertainty, rather than predictability, for small cell wireless deployments,” Public Knowledge Senior Policy Counsel Phillip Berenbroick said. 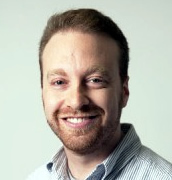 Jon is a reporter who joined Ars Technica in 2011, and covers a wide array of IT and tech policy topics. Jon previously wrote for IDG's Network World for 5 years, where he covered Microsoft, Google, open source, cloud computing, virtualization, data centers, and much more. Jon hails from Boston University, where he studied journalism and literature, before spending the start of his career writing about government, the environment, health, and medical technology for the Sentinel & Enterprise and the MetroWest Daily News in Massachusetts. (MENAFN Editorial) Dubai, UAE, 25 September, 2018: In sweet home Chicago on September 25, 1928 brothers Paul and Joseph Galvin incorporated Motorola's founding company, Galvin Manufacturing Corporation, with only one product and five employees. 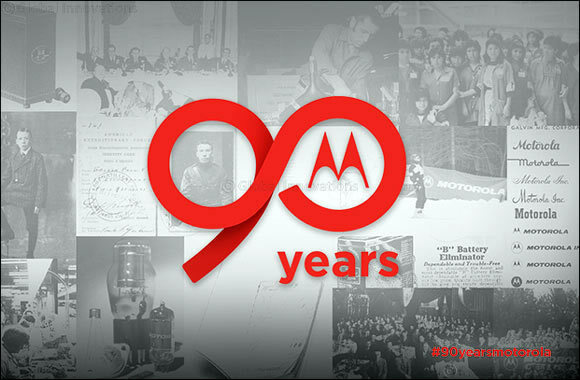 Flash forward through #90yearsmotorola and there's no doubt we have transformed the tech industry. Join us as we travel back through 90 years of innovation and technological breakthroughs to see how we have changed from then to now. Our first-ever product was designed in 1928 to address a problem that continues to exist today: battery life. The Galvin Manufacturing battery eliminator allowed battery powered radios to run on household electricity. True to our DNA, we've never stopped delivering what matters most to you. One of our most recent products, the 5G moto mod™, will bring you speeds 10x faster than today's wireless technology and the increased connectivity you're looking for.1 Did you know that on a 5G network, you can download the latest season of your favorite show in HD in the time it takes to board a plane? Galvin Manufacturing produced the world's first FM portable two-way radio in 1943. Since then we've brought the world's first commercial high-power transistor, commercial hand-held cellular phone and two-way pager to name just a few. Most recently, we released the world's first 5G upgradeable cell phone: the moto z3 and an accompanying 5G moto mod™ so you can connect to Verizon's 5G network when it launches. Did you know at 2 lbs. and 10 in. long the world's first commercial hand-held cellular phone, the Motorola DynaTAC 8000x, was the size of a brick and weighed as much as a pineapple? In 1982 the Motorola Sensar pager had a unique pen-sized design that looked radically different from any other pager on the market. It was only 2 ounces and conveniently fit into a pocket. In 2004, the innovative Motorola RAZR V3 changed the cell phone design game. With the thinnest profile on a clamshell cell phone of that time and an aluminum body, the RAZR was the first cell phone that doubled as a fashion accessory. The RAZR's V3 model sold more than 130 million units and was the best-selling clamshell phone in the world. 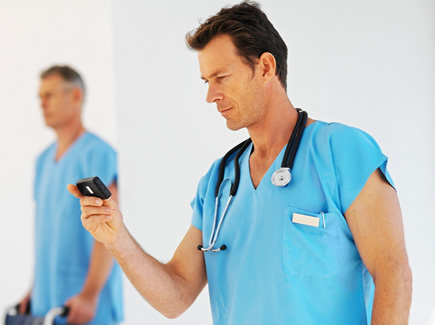 Why carry a cell phone and a pager? In 1995, the Motorola RSVP numeric pager fit on the back of any MicroTAC to create a pager, cell phone combo! Today, we continue to push mobile phone limits with moto z and moto mods™. Debuting in 2016, the moto z is more than just a smartphone snap on a moto mod™ and transform it into a projector, photo printer, speaker and more. Over the past 90 years, we've been all over the globe and beyond! In 1969, a Motorola radio transponder aboard the Apollo 11 lunar module relayed the first words from the moon to Earth. In 2007, 30 years later, mountaineer Rod Bader climbed the highest peak of Mount Everest and used a Motorola MOTORIZR Z8 to make the highest-ever land-based portable phone call and text message. In 1986, we introduced the world's best selling pager, the Bravo. The numeric pager could store five 24-character messages that was a lot back then! In the new millennium, the Motorola V60 became available in all three cellular technologies — GSM, TDMA and CDMA — and quickly became a worldwide best seller with internet access, text messaging and voice-activated dialing. While Motorola has always called Chicago home it didn't take long for us to build a global presence. In 1952 Motorola's first international subsidiary opened in Toronto, Canada, producing radios and televisions. Since then, Motorola has continued growing, with a strong presence in various countries in Europe, Latin America, Asia Pacific and China. 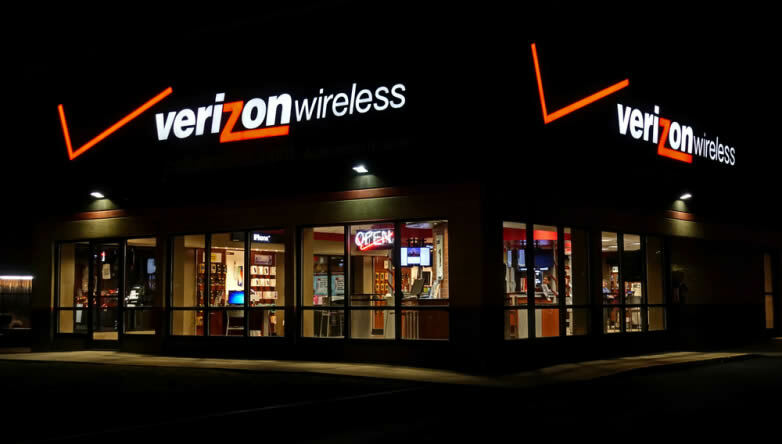 Share Tweet Earlier this year, it emerged that Verizon is very stealthily funding a company called Visible, which is offering a slightly different kind of wireless service. Once you sign up — which happens through an app, rather than in-store or over the phone — you get a slightly restricted unlimited plan for $40, including unlimited calling and texting. Compared to the standard single-line rate of around $70 a month that other carriers offer, it’s a great deal. The problem, up until now, is that you needed an invite to partake. But with the service seemingly growing up a little, the only requirement to subscribe now is to have an iPhone 5s or later, unlocked and compatible with Verizon’s network. Once you download the app and sign up, Visible will send you a SIM, and you’re good to go. You can even pay with PayPal or Venmo, reinforcing the notion that this is definitely a service for younger people. It doesn’t have the same credit applications or complicated sign-on procedure as a postpaid account, and seems designed to compete with the likes of Google’s Project Fi or the increasingly popular prepaid carriers like Boost or MetroPCS. There is one big problem with Visible, however: Although it uses Verizon’s excellent 4G LTE network, users are perma-throttled to 5Mbps. That’s not dramatically slow, and still fast enough to stream or use apps, but it’s a far cry from the 100Mbps+ speeds that users can expect in areas with new technology and good service. You’re also liable to get de-prioritized when the network is busy, likely in favor of Verizon postpaid customers, who generally get priority over MVNOs. On the plus side, there’s no limits on mobile hotspotting, so you get unlimited hotspot data at 5Mbps. Still, even with the caveats, $40 a month for unlimited data, calling, and texts on Verizon’s network is a steal. The most surprising thing is that Verizon itself is funding the company, since it has the potential to cannibalize some of Verizon’s existing customers. At a guess, that might be why it started stealthily without any major marketing push: Verizon wants to analyze whether Visible customers are defecting from Verizon postpaid, or whether it’s picking up customers from other prepaid operators or its competitors. The Federal Communications Commission (FCC) has issued an FCC Enforcement Advisory cautioning operators and vendors of low-cost, two-way VHF/UHF radios that such devices may not be imported, advertised or sold let alone used in the United States unless they comply with FCC rules. 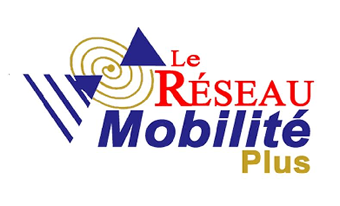 The advisory comes in response to advocacy work conducted by the Land Mobile Communications Council (LMCC) and the Enterprise Wireless Alliance who have championed this issue for the past year. We are pleased that the Enforcement Bureau has responded definitively and forcefully. The Enforcement Bureau has noticed the rise in sales of low-cost, two-way VHF/UHF radios that do not comply with FCC rules. Some of the radios can be modified to operate on channels for which the user is not authorized and is not eligible. Some radios are capable of prohibited wideband operations. Anyone importing, advertising or selling non-compliant devices should stop. Anyone owning such devices should not use them. Violators may be subject to substantial monetary fines. “This Advisory serves as an important reminder to all who sell or use two-way radios that observing the rules is critical to spectrum order and efficiency,” said EWA President Mark Crosby. If you have questions regarding this FCC Enforcement Advisory and/or concerns related to a proposed equipment purchase complying with FCC rules, please call your Enterprise Wireless Alliance Spectrum Advisor or call EWA at 800-482-8282. If the U.S. doesn’t act to ease such deployment, other countries will, Carr said. China “wants to lead the tech sector for the next decade. They are moving aggressively to deploy the infrastructure needed for 5G. Everyday, China is deploying 460 cell sites. That is 12 times our pace. Commissioner Jessica Rosenworcel split her vote, but said the item essentially consists of “three unelected officials telling states and localities what they can do in their own backyards.” Noting that groups like the National Governors Association and National Conference of state legislatures asked the Commission not to pursue this path, Rosenworcel said the agency doesn’t have the authority to dictate siting terms to localities. All Covered 911 Service Providers are required certify that they have taken reasonable measures to provide reliable 911 service with respect to three substantive requirements: (i) 911 circuit diversity; (ii) central office backup power; and (iii) diverse network monitoring by October 15. Certifications must be made through the FCC’s portal. On September 26, the FCC adopted a Report and Order that eliminated FCC Form 325, Annual Report of Cable Television Systems, which collected operational information from cable television systems nationwide. First developed in 1966, Form 325 was last significantly changed nearly 20 years ago. According to the Report and Order, Form 325 has become increasingly obsolete due to marketplace, operational, and technological changes that have occurred over time. Additionally, the FCC found that it has made limited use of Form 325 data in recent years, and much of the same information is available from alternative sources. On September 26, the FCC adopted a Notice of Proposed Rulemaking addressing calls to 911 made from multi-line telephone systems, pursuant to Kari's Law, the conveyance of dispatchable location with 911 calls, as directed by RAY BAUM'S Act, and the consolidation of the FCC's 911 rules. Comment and reply comment deadlines have not yet been established. First, the FCC proposed rules to provide clarity and specificity to how the statutory requirements of Kari’s Law should be met by those companies to which it applies. Kari’s Law requires multi-line telephone systems to enable users to dial 911 directly, without having to dial a prefix (such as a “9”) to reach an outside line. Kari’s Law also requires multi-line telephone systems to provide notification, such as to a front desk or security office, when a 911 call is made in order to facilitate building entry by first responders. Second, the FCC has proposed rules that would apply dispatchable location requirements to multi-line telephone systems, fixed telephone service, interconnected Voice over Internet Protocol (VoIP) services, and Telecommunications Relay Service, in order to implement RAY BAUM’S Act. That law requires the FCC to consider adopting rules to ensure that “dispatchable location” information, such as the street address, floor level, and room number of a 911 caller, is conveyed with 911 calls, regardless of the technological platform used, so that first responders can be quickly dispatched to the caller’s location. BloostonLaw Contacts: Gerry Duffy, Mary Sisak, John Prendergast and Cary Mitchell. At this morning’s Open Meeting, the FCC adopted a Declaratory Ruling and Report and Order designed to clarify the scope and meaning of Sections 253 and 332(c)(7) of the Communications Act, establish shot clocks for state and local approvals for the deployment of small wireless facilities, and provide guidance on streamlining state and local requirements on wireless infrastructure deployment. On September 26, the FCC adopted a Report and Order and Further Notice of Proposed Rulemaking aimed at streamlining and consolidating the rules governing earth stations used to provide satellite-based services on ships, airplanes and vehicles. The final text of the document is not yet available. Specifically, the Report and Order integrates the three types of earth stations in motion into a single regulatory category, in an effort to reduce the burden on applicants, leading to a more efficient licensing process. The FCC also aims to increase flexibility to ESIMs – earth stations that communicate with geostationary satellite orbit (GSO) satellites operating in the fixed-satellite service (FSS) – to operate in the “conventional Ka- frequency band,” which in turn is intended to facilitate the delivery of satellite-based high-speed services. The Further Notice of Proposed Rulemaking seeks comment on expanding the frequencies available to ESIMs communicating with GSO FSS satellite networks to allow additional flexibility to satellite operators. Comment and reply comment deadlines have not yet been established. On September 26, the FCC today fined telemarketer Mr. Philip Roesel and his companies more than $82 million for illegal caller ID spoofing. According to the FCC, Mr. Roesel made more than 21 million robocalls to market health insurance. The Truth in Caller ID Act prohibits callers from deliberately falsifying caller ID information to disguise their identity with the intent to harm, defraud consumers, or wrongfully obtain anything of value. The FCC proposed this fine in the summer of 2017. In response to the proposed fine, Mr. Roesel claimed that the FCC failed to prove intent to harm, that any value he received was not “wrongfully” obtained, and that he did not know he caused harm. The FCC determined that the evidence did not support these claims and is imposing a fine in the amount originally proposed, one of the largest forfeitures ever imposed by the agency. According to the FCC, Mr. Roesel, himself (doing business as Wilmington Insurance Quotes), or through his company, Best Insurance Contracts, Inc., made millions of spoofed robocalls. He sought to sell health insurance and generate leads for such sales. By spoofing his caller ID information, Mr. Roesel made it difficult for consumers to register complaints and for law enforcement entities to track and stop the illegal calls. Such conduct, along with long-standing Congressional and FCC recognition that illegal robocalls cause consumers significant harm, show intent to cause harm and an effort to wrongfully obtain something of value. On September 26, the FCC issued a Notice of Apparent Liability proposing a fine of more than $37.5 million fine against Affordable Enterprises of Arizona for apparently making millions of illegally-spoofed telemarketing calls that appeared to originate from consumers and other numbers not assigned to the company. According to the NAL, The Tucson-based company made more than 2.3 million maliciously-spoofed telemarketing calls to Arizonans during a 14-month span starting in 2016 to sell home improvement and remodeling services. The company apparently manipulated the caller ID information so that many calls appeared to come from consumers who were unconnected to the operation. Calls also appeared to come from unassigned phone numbers and numbers assigned to pre-paid “burner” phones. In each case, the caller ID was spoofed and consumers were unable to identify from the caller ID that the call was from Affordable Enterprises. One Arizonan received more than five calls per day on her cell phone from consumers complaining about telemarketing calls they thought she had made. Records show that Affordable Enterprises had made spoofed telemarketing calls to consumers that appeared to be coming from the cell phone of this unaffiliated Arizonan. Such calling tactics harm both the consumers receiving the deceptive calls and those whose numbers are essentially commandeered by the telemarketer. The FCC’s Enforcement Bureau began its investigation based on information provided by a whistleblower. Using this lead—from a former employee of Affordable Enterprises—the FCC subpoenaed the phone records of the company and worked with the Federal Trade Commission to review consumer complaints from individuals on the Do Not Call Registry. The company, which also used names including Affordable Kitchens and Affordable Windows, used a telemarketing platform to connect sales representatives to consumers to try to market home improvement services. For the first time, the FCC will use an auction to distribute certain toll free numbers. The numbers to be auctioned are approximately 17,000 numbers in the new 833 toll free code for which there have been multiple, competing requests. 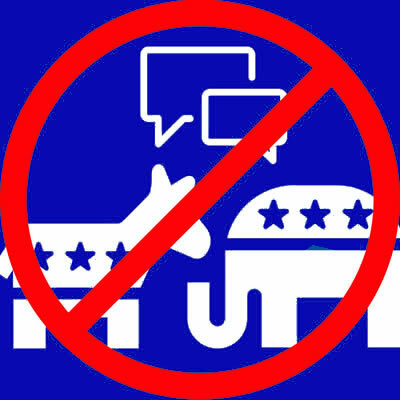 By using an auction, the FCC hopes to ensure that sought-after numbers are awarded “to the parties that value them most.” The FCC will study the results of the auction to determine how to best use the mechanism to distribute toll free numbers equitably and efficiently in the future as well. In addition, the FCC will reserve certain 833 numbers for distribution to government and non-profit entities that request them for public health and safety purposes. Currently, toll free numbers are assigned on a first-come, first-served basis. 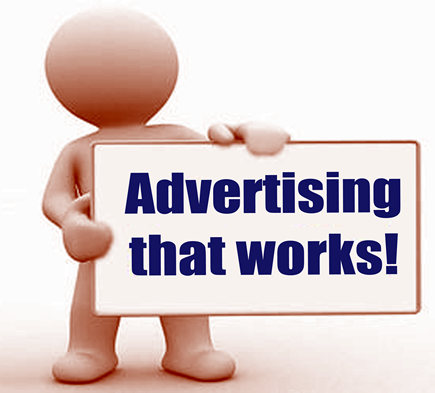 But this system does not consider the need for or the value placed on particular numbers, and the system can be gamed by organizations who have the fastest connectivity to toll free number databases. According to the release, revenues from the auction will be used to defray the cost of toll free numbering administration, reducing the cost of numbering for all users. On September 20, the United States Court of Appeals for the Ninth Circuit issued an Opinion finding, among other things, that the Telephone Consumer Protection Act (TCPA) definition of an “automatic telephone dialing system” (ATDS) includes any device that automatically calls numbers from a list of stored numbers, rather than being limited to just those that are able to generate numbers randomly or sequentially. The court’s decision comes in the wake of a ruling by the D.C. Circuit vacating the FCC’s interpretation of ATDS, leaving the court free to form its own construction. 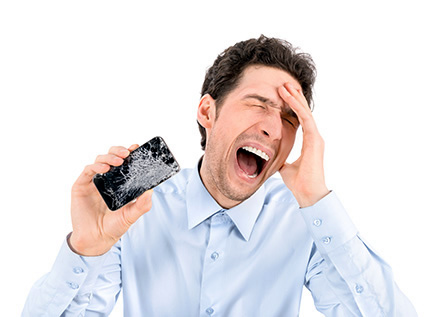 The decision is being touted as a victory for TCPA plaintiffs, and therefore a negative for companies using autodialing to reach customers or potential customers. Under the TCPA, calls made via an “automatic telephone dialing system,” or ATDS, without the receiver’s consent can carry statutory penalties between $500 and $1,500 per violation. The case arose when the plaintiff sued Crunch Fitness in 2014 after his phone carrier charged him for three incoming text messages sent by the gym over an 11-month period. The court came to its conclusion by reviewing not only the TCPA’s restrictions, but also its exceptions. Specifically, the court looked to the TCPA’s exemption for calls made with the prior express consent of the called party and reasoned that in order to take advantage of this exemption, calls would have to be placed from a device that can dial from a list of stored numbers of persons who had consented to such calls. One argument that has been advanced for the exclusions of similarly situated entities is that their calls are not made with equipment that uses “random or sequential number generator[s],” as stated in the TCPA’s definition of ATDS, but rather a list of numbers provided by customers. It is unclear whether other courts with follow the Ninth Circuit’s lead. Over the past month or so, we have seen a significant uptick in solicitations of our clients by outside companies asserting that license modifications or other FCC filings are required, when those filings in fact may not be necessary. While the solicitations may indicate in the fine print that the company is not affiliated with the FCC or any governmental agency, some of these solicitations are designed to look similar to documents that could come from the FCC — thereby creating confusion. Along these lines, we have also heard of reports that at least one vendor is taking a different tact by claiming in its letter that it had “received a request for modification of your two-way radio license,” and then asks the recipient to “indicate all Modifications below & return in the enclosed envelope” along with the payment of the FCC filing fee and their fee for preparation of the application. If you receive any outside solicitations, please contact our office so that we can verify with you whether any licensing work is in fact necessary. In most instances, if the license is under an annual retainer arrangement with us, the licensing modification work would be covered under our retainer representation. On September 13, the FCC issued a Public Notice announcing a temporary freeze, effective on September 13, 2018 on the acceptance of certain applications related to Part 90 services operating in the 896-901/935-940 MHz spectrum band (“900 MHz band”) until further notice. The suspension implemented by this Public Notice applies only to applications for new or expanded use of 900 MHz band frequencies. any other application that could increase the degree to which the 900 MHz band currently is licensed. applications for special temporary authority for short-term operations. 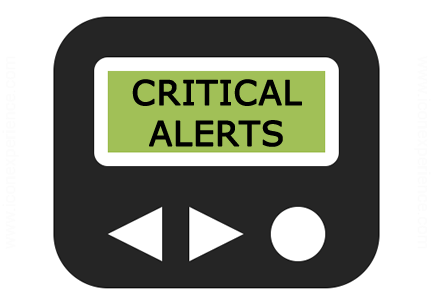 The Federal Emergency Management Agency (FEMA) has announced that the nationwide test of the Wireless Emergency Alerts (WEA) network and the Emergency Alert System (EAS) that was scheduled for Thursday, September 20th has been postponed to the back-up date of October 3rd. This decision was made in order to ensure that the test did not to interfere with ongoing response efforts to Hurricane Florence. In response to efforts by the Land Mobile Communications Council (“LMCC”) to combat the importation and sale of non-compliant two-way VHF and UHF radios, the FCC’s Enforcement Bureau has issued an Enforcement Advisory that cautions users, manufacturers, importers and retailers that all radios must be authorized by the FCC prior to being imported, advertised, sold or operated in the United States. The FCC has found that the sale and use of radios that do not meet the FCC’s technical requirements (and therefore cannot be authorized by the FCC) is widespread. In some cases, radios can be modified to transmit on public safety and other land mobile channels for which they are not authorized, while others are capable of operating in a wide-band mode (which became prohibited as part of the FCC’s narrowband mandate that was effective January 1, 2013). The FCC notes that these sorts of unapproved radios are illegal, and many have the potential to negatively affect public safety, aviation safety, and other operations by Federal, state, and local agencies (as well as private users) by causing harmful interference to licensed radio operations. In addition to requiring specific authorization under the FCC’s equipment authorization process before a radio may be marketed, imported or sold in the United States, the FCC has also made clear that even if a radio has been approved by the FCC, it is important to note that it may not be modified without approval of the FCC. The FCC has stated that the importation, marketing, sale and use of non-compliant equipment must cease immediately, since violations could result in substantial fines and penalties. It is important to note that the FCC has indicated that the use of unapproved equipment could likewise result in fines, since the operation of those radios would not be in compliance with the FCC’s Rules. You should therefore inspect your radios in order to ensure that they (a) have an FCC approval identification sticker and (b) are used consistent with the Company’s underlying FCC radio license (or the FCC certification for radios operating on unlicensed low power channels). The FCC is seeking comment on Metrom Rail LLC’s request for waiver of Sections 15.519(a) and 15.519(c) of the FCC’s Rules to allow the installation and operation of an ultra wideband (UWB) positive train control (PTC) system in the 3.272-5.014 GHz band. 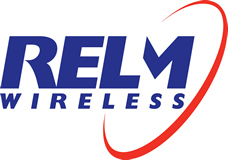 Metrom’s system would operate above the current radiated power limit for “fixed wireless infrastructure”, under the hand-held UWB device rules. Metrom states that the requested waiver would enable PTC to be deployed in public transit and short rail train systems and promote safety for railway passengers and personnel in a cost-effective manner. Comments are due October 22, 2018; Reply Comments are due November 6, 2018. Rule Section 15.519(a) contains provisions for UWB devices that are relatively small and are primarily handhold while being operated and do not employ a fixed infrastructure. Furthermore, Section 15.519(a)(2) prohibits the use of antennas mounted on outdoor infrastructure. Metrom states that the AURA PTC System devices are functionally equivalent to handhold devices and its proposed use of fixed infrastructure would not increase the risk of harmful interference. Likewise, Rule Section 15.519(c) of the Commission’s rules restricts radiated emissions in the 3100 – 10600 MHz band to -41.3 dBm. Metrom requests a waiver to operate with 6 dB additional gain for limited directional antenna applications. Metrom states that the higher emission level of -35 dBm EIRP would increase range, reduce deployment costs, and will not increase the potential for causing harmful interference to authorized users. Urgent Communications recently reported that several “key” 800 MHz licensees in Mexico have completed their spectrum relocation activities, according to the FCC’s remarks to the governing board of the National Public Safety Telecommunications Council (NPSTC). 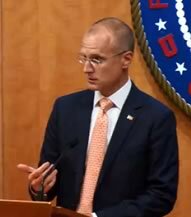 Michael Wilhelm, Chief of the Policy and Licensing Division of the FCC’s Public Safety and Homeland Security Bureau, reportedly said during the NPSTC meeting earlier this month that the only U.S. regions that have not been fully rebanded are in the Mexico border area. Urgent Communications reports that there are 29 licensees in Texas that need to retune their 800 radio systems, as well as 14 California and two in New Mexico. The FCC has cited New Jersey Natural Gas (“NJ Gas”) for (a) failing to transmit its station identification and (b) operating inconsistent with its station license. In response to an interference complaint, the FCC’s Enforcement Bureau inspected NJ Gas’s radio facility at Rockaway, New Jersey. This inspection resulted in findings that NJ Gas was not transmitting its station identification as required by the FCC’s Rules and was operating in a digital mode when the station license only authorized analog voice operations. Under the FCC’s Rules, licensees must identify the call sign each station or system of stations verbally or by International Morse Code at least once each 15 minutes (or 30 minutes if in the Public Safety Pool) during periods of continuous operation. If the station employs either analog or digital voice scrambling, the call sign must be transmitted in a non-scrambled mode. The citation issued to NJ Gas is a good reminder that station operations must conform to the terms of your license in all respects. The FCC’s rules do not permit Private Land Mobile licensees to make any modifications to their facilities without prior approval from the FCC. Please contact our office if you are going to make equipment changes or otherwise change the configuration of your station so that we can make sure that you remain in compliance with the FCC’s rules and regulations. The FCC has proposed to fine IOU Acquisition, Inc. (“IOU”) and Air-Tel, LLC (“Air-Tel”) a total of $534,580 for operating without a license and for using equipment that was modified from its FCC certified specifications. Both IOU and Air-Tel (collectively, the “Companies”) hold licenses to provide Radio-location Service (“RLS”) in the 3300-3600 MHz band. Rather than using these licenses to provide RLS services, the Companies provided an unauthorized wireless data transmission service by intentionally altering the settings of wireless equipment to operate outside of the authorized frequency bands. Licensees in the RLS are permitted to operate stations in order “to determine distance, direction, speed or position by means of radio-location devices, for purposes other than navigation.” Traditionally, radio-location licenses have been utilized for radar installations. 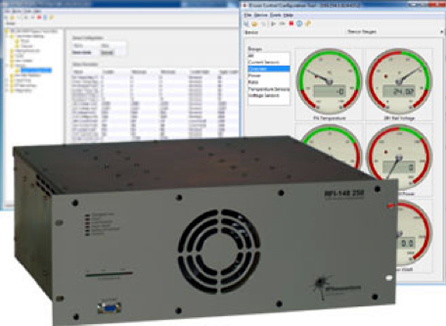 Other licensees use RLS spectrum for perimeter security radar at electric power substations or airports, speed enforcement radar, surveillance or Doppler weather radar. In all these uses, the radio-location signal does not carry any information. 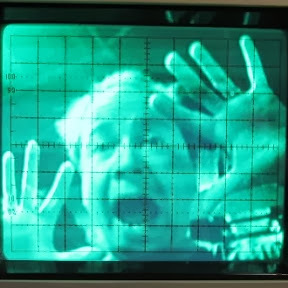 Rather, the information regarding an object’s size, speed, location, etc., is determined based on the signal’s propagation characteristics. The FCC concluded that in providing the GPS vehicle tracking service, the Companies intentionally used equipment at their fixed locations that had been programmed to operate outside of the authorized frequencies, despite repeated warnings not to do so in the equipment user manuals. 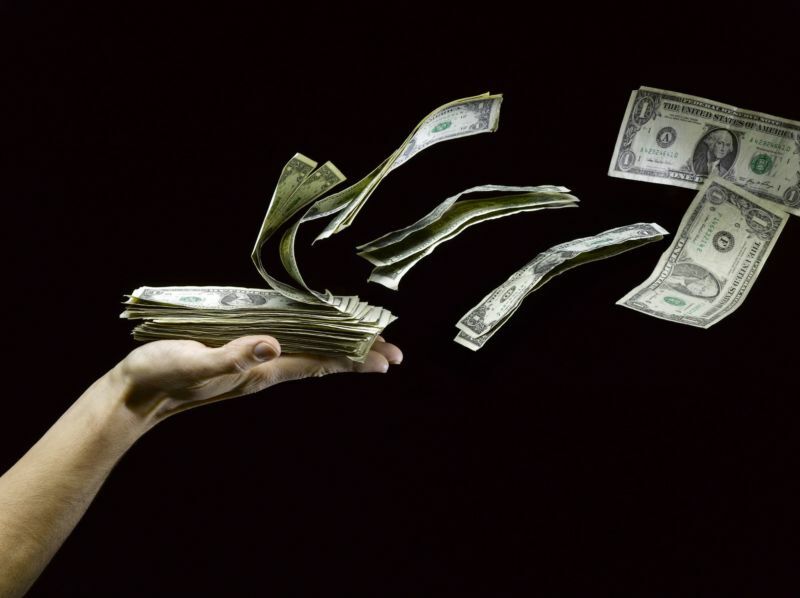 The Communications Act allows the FCC to assess monetary forfeitures for such equipment violations of up to $19,639 for each day of a continuing violation — with a maximum of $147,290 for any single act or failure to act. The base forfeiture amount for unauthorized operation is $10,000 per day, while operation of unauthorized equipment is $5,000 per day. Nonetheless, the FCC may depart from these base amounts based upon particular facts and circumstances of each case, including whether or not the conduct was egregious. Here, the FCC found that IOU apparently committed at least four separate willful and repeated violations by using at least four pieces of Cambium equipment outside its certified frequencies from July until September 24, 2017. Similarly, Air-Tel committed at least 12 separate violations by using at least 12 pieces of Cambium equipment in the same manner from July until September 24, 2017. As a result, the base forfeiture for IOU would be $20,000 while it would be $60,000 for Air-Tel. Based upon the nature of the Companies’ conduct, the FCC determined that a significant upward adjustment of the proposed fine was warranted, given each company’s years’ long record of repeated and continuous violations. Warranting a further upward adjustment was the Companies’ act of changing the settings on the equipment, so that the radio equipment would operate on spectrum that was not authorized for use in the United States. This case illustrates the need for ensuring that your station is operated in compliance with not only the license, but also the service rules that are applicable to your radio system. Additionally, it is critically important that settings on radio equipment are not changed outside of the parameters authorized by the FCC. Doing so could result in substantial fines that would more than erase any profit that might have been earned by the non-compliant operations. 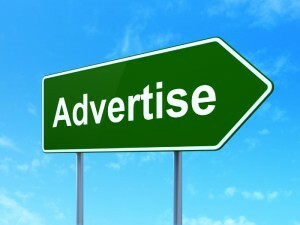 The FCC has continued its enforcement activities against the marketing of illegal LED signs. NanoLumens, Inc. (“NanoLumens”) is a Georgia based company that manufactures, sells and imports light-emitting diode (“LED”) display signs. In response to a complaint, the FCC initiated an investigation which revealed that NanoLumens had violated the FCC’s equipment marketing rules by marketing LED signs without required labeling. NanoLumens has agreed to pay a $27,500 civil penalty. For those of our clients who develop and/or market or import devices that emit radio frequency (RF) energy, whether as intentional or unintentional radiators, it is critically important to comply with the FCC’s equipment authorization rules. There are many nuances to the rules, and certain changes to equipment may or may not trigger filing or retesting requirements. Additionally, those clients that market devices originally tested and certified under a different brand may also be required to obtain an FCC equipment authorization as well. Our office can help you through this process. The Land Mobile Communications Council (“LMCC”) and Utilities Technology Council (“UTC”) are urging the FCC to act on a years’ old Petition for Rule Making to allow Part 22 VHF and UHF channels designated for one-way or two-way mobile operation to operate with technical standards similar to the Part 90 VHF and UHF channels operated by private land mobile licensees. If the proposed rules were adopted, Part 90 licensees of VHF and UHF spectrum could more easily integrate the use of Part 22 channels into their systems, since the spectrum is virtually identical. 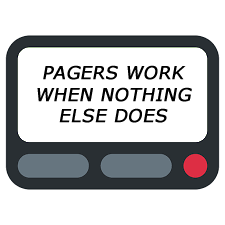 I want to write my own “special” paging software and control the transmitter with frequency / onset / output power etc and use monitor information from the paging transmitter like: on power / vswr / forward power / reflected power etc. 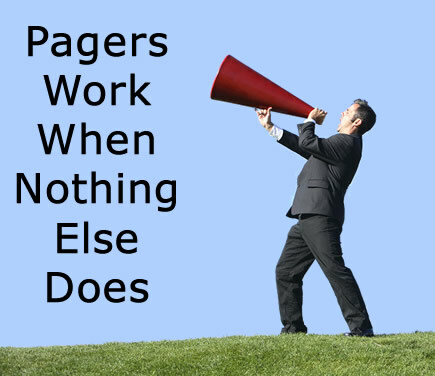 Do you have some document describing the communication interface of the paging transmitter, and what information can be set or read from your vhf paging transmitter. As far as I have read it uses the I-20 protocol/interface or called the WMtxp protocol. 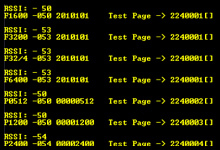 I’m looking for some document describing the protocol / baud rate / crc / checksum etc. I hope you can help me, or point me out to someone who has this type of information. Can any of our readers help this colleague? I really enjoyed this newsletter's variety of useful info and deep diving into codebreaking, quantum physics, etc. A quick video to show how to install a new RJ-45 connector on a CAT5/CAT5e Ethernet or network cable to make a new patch cord or repair a broken connector. All it takes is a little patience and a few tools. It pays to have the right tools to install the connector and test the cable afterwards. The cost of the tools can often be recovered after making or repairing just a few cables.